ZONE*INTERDITE *** RESTRICTED AREA: Dakar-Yof (DA160) - Leopold Sedar Senghor Intl. Dakar-Yof (DA160) - Leopold Sedar Senghor Intl. 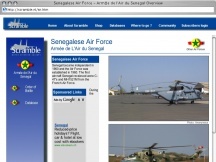 Search for Dakar-Yof (DA160) - Leopold Sedar Senghor Intl. BION I'm imepsesrd! Cool post! I&#39;ll make sure to vote this month, but for next month I&#39;d like to nominate myself :^etbuyuoe.com/samwrestl)Feel free to check out my page and let me know what you think! I much prefer inmrafotive articles like this to that high brow literature.